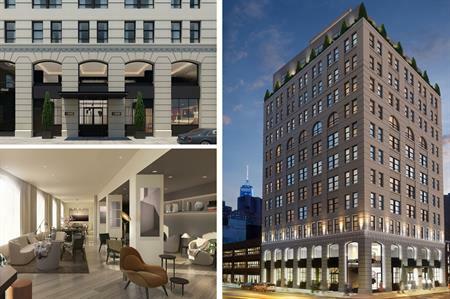 New hotel 11 Howard is to open in New York's SoHo district this March. The 221-room independent hotel is situated on Howard Street in the SoHo neighborhood, surrounded by boutiques, restaurants, bars and galleries. The property, which was designed by Danish firm Space Copenhagen, has a contemporary look and incorporates the newest technology for services such as self-check-in and smart room service delivery. Complimentary wi-fi is available throughout. It features a range of suites and a conference room. Other facilities include a spa and fitness centre with a cardio and weight room, a yoga studio and a restaurant by restaurateur Stephen Starr.